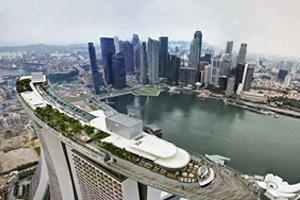 Singapore is the only first world country in South East Asia. Singapore was founded in 1819 by Raffles and currently has population of 5 million people and is one of the most densely populated area in the world. Singapore scores well in international ranking in healthcare, education, government transparency, and economic competitiveness. Other than the achievements, Singapore maintains their root and culture well. Chinese, Malay and Indian food, festival and culture are well blended in the society. The Chinatown and Little India are two attractions that are heavily influenced by China and India, providing even more ethnic diversity on this island. Singapore is roughly grouped under five areas. Each area has specific meaning and purpose. The central Orchard area is the best for shopping with numerous shopping malls and the southern riverside area is the central financial district of Singapore. The north west Tuas and west Jurong Island are the industrial manufacturing area in Singapore manufacture oil & gas, petrol chemicals, pharmaceutical products and electronics products. Central area of Singapore is reserve area for reservoir and natural forest. And lastly the neighbourhood area are built at the balance land in Singapore. English is the official language in Singapore though Malay is the national language. Therefore, visitors do not worry about not being able to get around in the bustling city. The few attractions in Singapore are the shopping malls in Orchard area, the Singapore Zoo and Night Safari, two integrated resort at Sentosa and Marina Bay, Gardens by the Bay as well as Universal Studios Singapore® at Sentosa. The Esplanade Theatre is another icon building in Singapore, just like the Opera House in Sydney. The theatre is home to the Singapore Symphony Orchestra and is visited regularly by local bands and touring artists. With recent appreciation of Singapore currency and inflation phenomenon in Asia, travelling budget going to Singapore is higher than before. However these do not stop visitors from visiting Singapore because of its Luxury brands shopping, quality local food like chilli crab, high standard and worth-visiting attractions, and wide range of hotel choices from Luxury hotels to backpacking hostels. Travelling in Singapore is very convenient and easy as almost all of the interesting places and attractions are connected by train and buses. The train frequency has been improved to around 5 minute during off peak hour and 2 minute during peak hour. Bus frequency has also been improved and the IRIS system from SBS enables passengers to check the estimated arrival time of your next bus at your bus stop. Many visitors also take the opportunity to visit neighbouring country Malaysia whenever there is holiday. There are few buses offering such services to Malaysia, like KKKL Express, Transtar Express, Delima Express, Golden Coach Express etc. Travellers can go to Beach Road to board the bus. Prior booking is a must during a holiday season period and weekend to avoid disappointment. 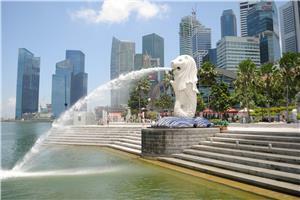 For more information about Bus to Singapore, check out details from us today!